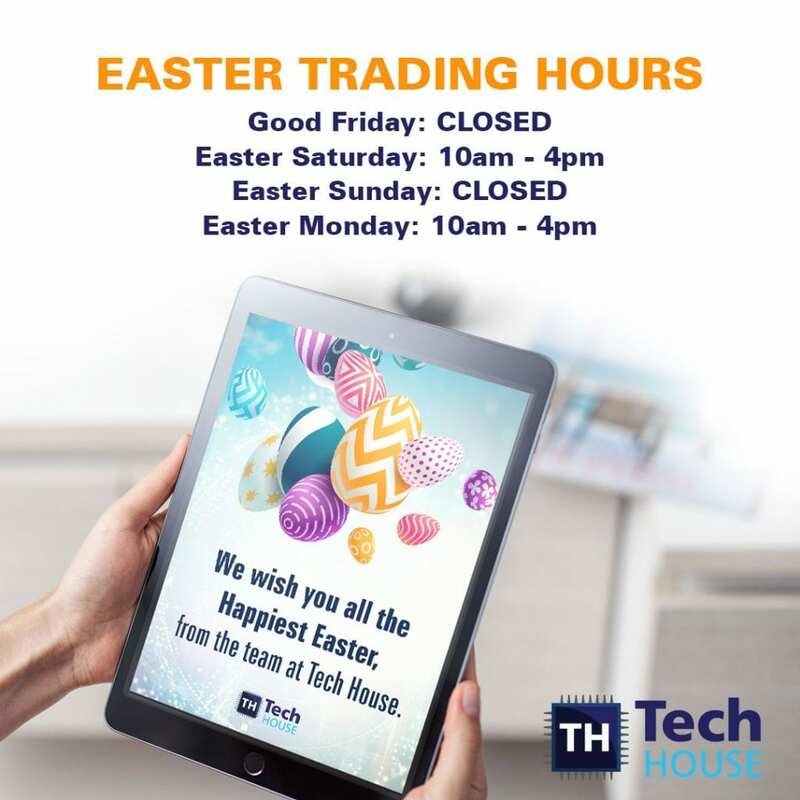 Here at Tech House we pride ourselves on providing the best service and advice, combined with quality and affordability! Your local one stop tech shop for all phone, tablet & computer repairs. We repair most phone models currently on the market including but not limited to iPhone, Samsung, LG, Huawei, Google and more. Diagnostics, Virus Removal, Hardware or Software Upgrade, SSD Upgrades, Memory Upgrades and more. We can also come to you! We repair most tablet models on the market including but not limited to iPad, Samsung, and more. Come in and see our team for any support and advice we can offer. "Andy and Billy were extremely helpful when my boyfriend completely obliterated my phone one morning. It took longer than usual to fix as he’d done a complete number on it, but the boys were wonderful and wouldn’t stop until it was fixed." "Knowledgeable, Helpful and Friendly. They're the three words that come to mind with Tech House. Purchased a custom built PC. No rubbish, walked in told them what I needed it for and they helped me out straight away!" "Billy was prompt & efficient, resolved my problem easily, much as I'd already tried I didn't have the finesse he was able to apply. Thanks heaps!" "Awesome service, such great guys, super efficient, solved my problem and saved me from buying a new laptop. I'll definitely be using them again." "Ross is 100% the best/funniest/super cool worker I have ever got something fixed by, like my phone today. Ross gives really good advice and he blessed my phone (fixed the battery). Super dope man. Thanks for fixing my stuff Tech House!" "Between Pierce and Hayden, my experience was fantastic, with a swift and friendly diagnosis my PC was quickly repaired and the damaged part replaced. Extremely friendly and patient! I'll definitely be recommending! Thanks for all of the help!" "The guys here are very chill but have a strong professional side when talking about PC's and gear. Helpful service." "Excellent service and staff were very friendly. Darren helped us out today." "I had great service from both Ross and Darren. I got a great deal on replacing my screen and battery for my iPad. Great to have fantastic customer service." "Just spent 3.5hrs with Andrew and could not have asked for better service. A wonderful help, and incredibly patient with my difficult fix. I whole heartedly recommend them!" Our technicians have a range of knowledge and experience on most leading brands.